Free Prescription Sunglasses offer is now on! Simply buy any frame from our extensive premium collection, from around the world, and receive a free pair of single vision sunglasses. Feel free to come and browse, we look forward to welcoming you. 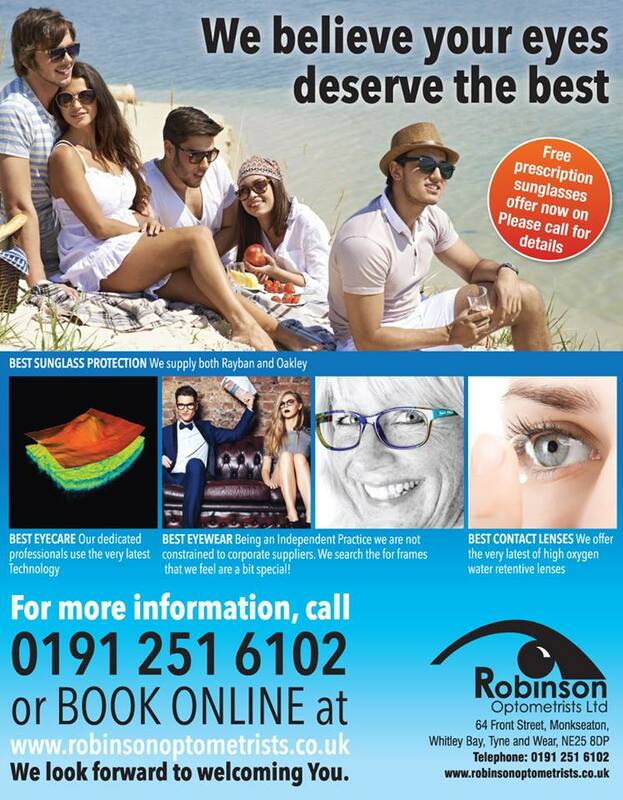 Free Prescription Sunglasses offer is now on at Robinson Optometrists, Monkseaton. Next Next post: Visit our “New Look Practice” soon!